Our banks are investing billions of dollars in the fossil fuel industry. Since 2015, our major banks have loaned over $21bn to fossil fuel projects in Aotearoa and offshore. New Zealanders need to have a bank we can trust. We need a Fossil Free Bank, that guarantees, through investment and lending policies, a complete cut of corporate ties with the fossil fuel industry. Fortunately, our locally owned banks are ahead of the pack, in the race to become New Zealand’s first Fossil Free bank! TSB, Kiwibank, and the Co-operative bank currently do not invest in, or loan money to fossil fuel projects. 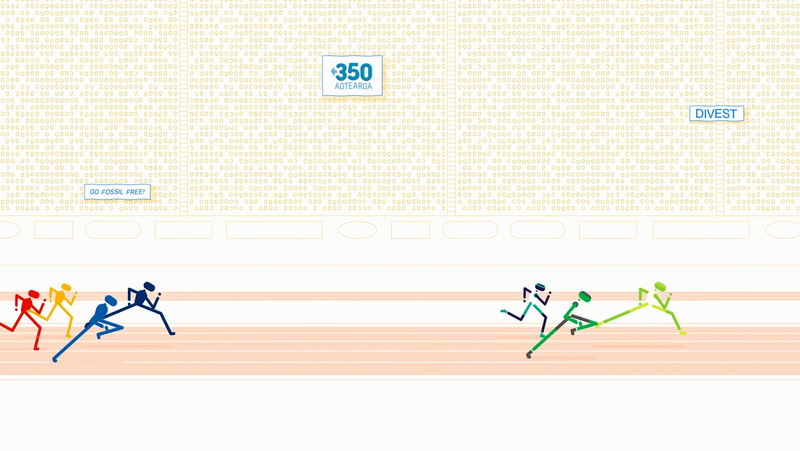 But to reach the finish line they must commit to a policy guaranteeing they never will. We cannot afford to keep bankrolling an industry who are actively fueling the climate crisis. Our savings need to go towards a safe and fair future, built on 100% renewable energy for all. Let's encourage them: Demand a Fossil Free Bank! Demand a Fossil Free Bank! Go Fossil Free! It's a positive opportunity, that New Zealanders support! 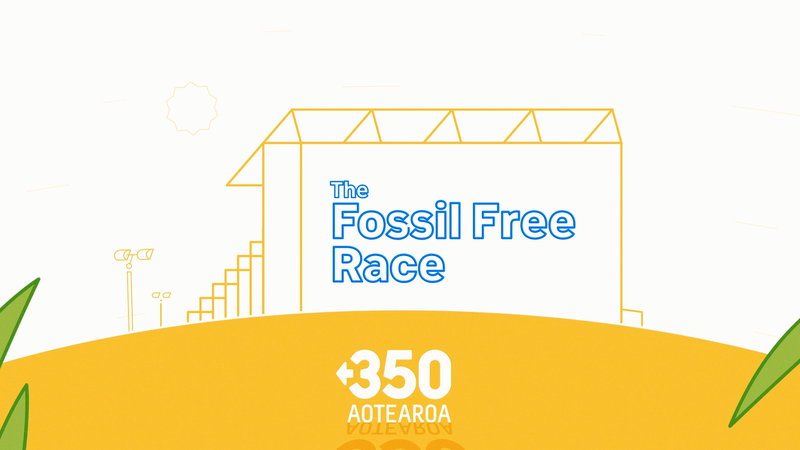 Thanks for joining us, in demanding a Fossil Free Bank for Aotearoa! You can also become a sustaining donor to keep this movement strong and growing. Erica, Claudia and the 350 Aotearoa team. Our banks are investing billions of dollars in the fossil fuel industry. Since 2015, our major banks have loaned over $21bn to fossil fuel projects in Aotearoa and offshore -fueling the climate crisis. New Zealanders need a bank we can trust. We need a Fossil Free Bank, that guarantees, through investment and lending policies, a complete cut of corporate ties with the fossil fuel industry.Fortunately, our locally owned banks are ahead of the pack, in the race to become New Zealand’s first Fossil Free bank -but to reach the finish line they must commit to a policy guaranteeing they never will.Demand a Fossil Free Bank!